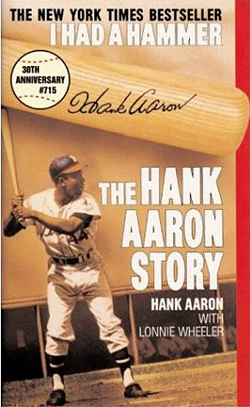 After retiring from baseball at the end of the 1976 season, the greatest home run hitter of all time, Hammerin’ Hank Aaron set his sights on succeeding in business and helping underprivileged young people achieve their dreams. Together with his wife Billye, he founded the “Hank Aaron Chasing the Dream Foundation”, which provides financial assistance to underprivileged youths seeking to pursue their talents and better themselves through education. Locally, funds for the foundation come from the Hank Aaron Golf Tournament held each summer in the Milwaukee area. It is administered from Atlanta, Hank's current home, with proceeds targeted toward youths in Atlanta and Milwaukee.